H & H Rescue Ranch & Sanctuary is a Non Profit 501(C)3 all volunteer group whose mission is to provide a rehabilitative sanctuary for abandoned, neglected, and abused horses. H & H provides them with a loving environment and a second chance to find a loving caring home. If a home cannot be found, H & H Rescue will become a sanctuary home for the horse. 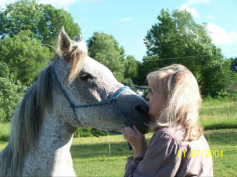 We are dedicated to providing a home to horses of any age and breed that are often neglected. H & H Rescue is also dedicated to educating the public on the fate of many horses and the proper care for them. or in person to Independent Bank.